I had a physical 2 days ago and my doctor did a blood test and it was sent out to Quest Diagnostics.My calcium level was 10.4 ,a little on the high end. The reference range that Quest uses are 8.6-10.2 but I know some other labs or websites uses 10.3-10.5 as the max normal . My entire blood test came back normal(in fact stellar) with the exception of the calcium. and strict diet for the past 3 months, all my lab tests came back normal with the exception of the calcium. In fact, I may have overexercised and over-dieted (intake of 800-1000 calories daily and 1-2 .5 hours of step aerobics). 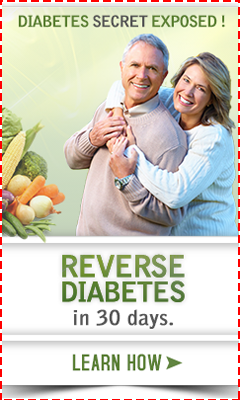 My doctor was proud of my progress and said I was no longer pre-diabetic. My height is 5 feet 6 inches, small frame,male of 56 years old--my weight went from 134 pounds to 118 pounds and waistline went from 33 inches to 29 inches. I did this all in 12 weeks!!! My doctor kind of agreed and said that I should lose no more weight and to maintain my weight , and to increase my calories to 1500-1800 daily but still be vigilant on the carbs. Could my drastic change in diet and overexrcise have played a role in my slighty eevated calcium. Also, I feel more healthy and energetic now and have no symptoms from the high calcium level. Lastly, my calcium level for the past 20 years have always been normal at around 9-9.7. Prior to the 10.4 taken on 12/1/10, my last calcium reading was 9.7 taken as recent as 9/13/10. I saw a neurologist recently for memory problems, although by the time I got an appt with him my memory had gotten somewhat better so I think it may have possibly been from stress I was going through at the time. I was diagnosed with fibromyalgia probably 10 years ago & have been taking Effexor for a year or 2 now. The neurologist seemed to be very quick to tell me I was depressed & doubled my dosage of Effexor. I had some problems with the higher dosage so they recommended I return to the lower dosage. My blood test show vitamin d hydroxy level of 27 so he has me taking calcium with D. My concern was that my calcium level is 10.0 & now I am taking more calcium. I have a concern with the calcium as my father's cause of death was high calcium due to a cancerous bone marrow. I really don't think I am depressed but I have been getting sick over the past 4 or 5 months with flu symptoms, stomach problems & sinus infections that keep re-occuring. I am truly getting tired of being sick & have decided that I really need to do something instead of just taking medication for depression but until I get a different diagnosis I guess I will have to trust that my neurologist knows what he is doing. Any suggestions on how I can help myself would be greatly appreciated. My husband was told 3 months ago that he had borderline calcium levels following a routine blood test. He suffers terribly from joint pain from his shoulders, hands, fingers, hips, knees, ankles and feet. What should he be doing? High calcium level(10.4-10.8 rising). why vitamin D? My mother is seeing an endocrinologist for elevated calcium level. It started as 10.4. 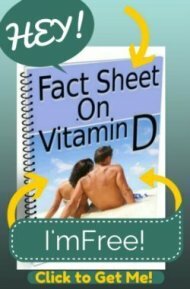 He said she had a Vit D deficiency and started her on Vitamin D.
She has been taking vitamin d for two months now. She just had a calcium level today and it is 10.8 PCP ordered calcium level and he is repeating it as follow up to a liver abcess she had 6 months ago. He also reordered PTH. Her PTH two months ago was 155 and two weeks later it was normal. I am a nurse myself but this is confusing. I think she has hyper parathyroidism and this is why calcium is high.